Once again my top game of the mid-year remains on top at my end of the year list. Once again it’s a delightful indie game I sunk dozens of hours into. Once again it’s a…. farming sim? Wait what? It’s fun to say indie games come out of nowhere even though with the proliferation of Kickstarter and Early Access that’s rarely the case any more. 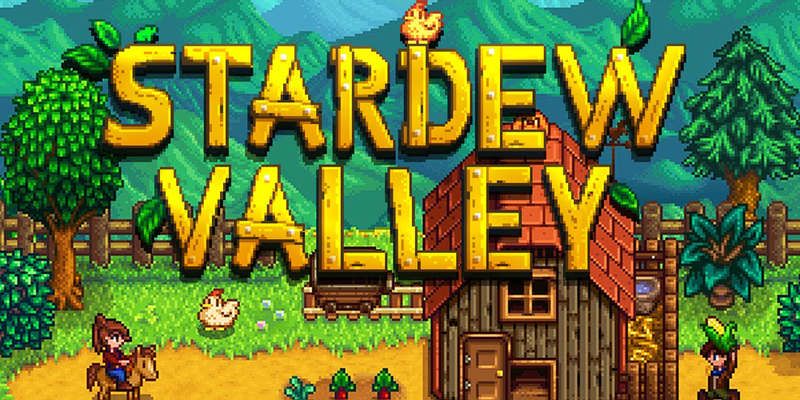 Stardew Valley very much came out of nowhere (from a one-man dev) and quickly became my favorite, and most surprising gaming love of the year. 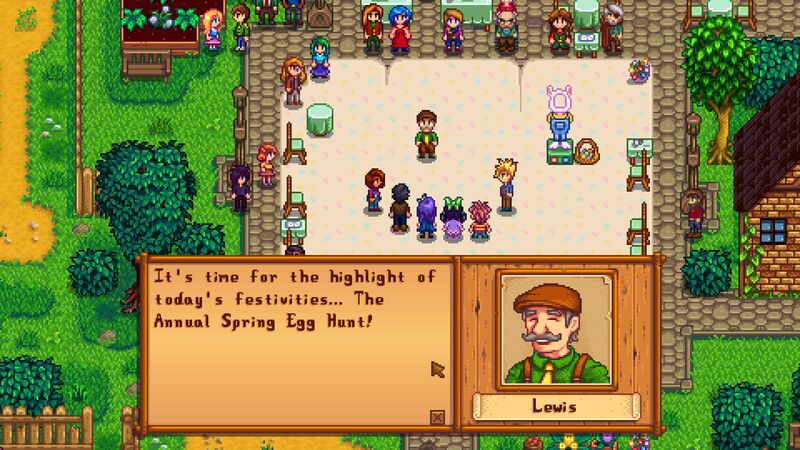 Stardew Valley puts your charmingly pixelated avatar into the sweetest small town from your favorite 90s JRPG. You start with a large but untamed plot of land filled with trees and grass, and armed only with the simplest of tools and barely and seeds and money. From there you craft your dream farm, but also play how you want. Farming is the main money-maker and tied to major objectives, but you can also befriend (and marry) townsfolk, explore the increasingly challenging mines with classic Zelda combat, fish for rare and seasonal aquatic life, cook stat-boosting meals, and attend seasonal town events. My wife also got sucked into the game. Stardew Valley was the first game she’s ever played for a lengthy amount of time that wasn’t cooperative with me. We played “together” by comparing farms and strategies, and it was incredibly rewarding. I had never even given much thought to farming sims like Harvest Moon, or town/life sims like Animal Crossing. There’s no reason Stardew Valley should have worked for me. But I absolutely fell in love with the charming world. The music is lovely, the character interactions are well-written, and the amount of content is staggering. Gaming is often about murdering countless things; a game about making friendships and pursuing happiness is incredibly refreshing. At over 70 hours I’ve only made it through my second year, but I did complete the main objective of restoring the community center, finished the mines, and got married. 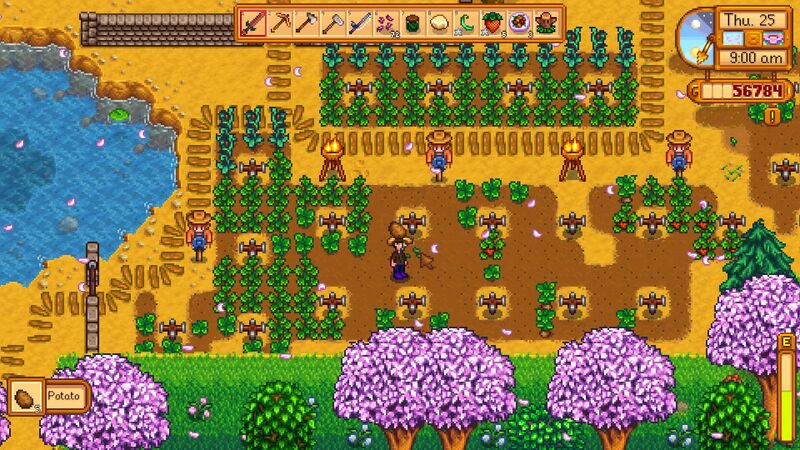 While I’m not sure how much more I’ll play (as oppose to games like XCOM 2 and Civ VI), the time I did spend with Stardew Valley were my most cherished gaming moments of the year. Stardew Valley represents the best of what indie gaming has to offer: one person crafting their dream game and sharing it with the world. This recently came out on PS4. I need to download it.